This project, located in Piscataway, NJ, consisted of construction of a 85,000 sf, sixty unit, three story assisted living facility with an adjoining 53,000 sf, two story community center. The installation of a 4000 amp service was installed for the main building, along with an emergency power system, custom imported light fixtures and extensive landscape lighting. Academy Electric worked closely with our long standing client, J.J. DeLuca Co., Inc. to complete this project on time and within budget. Work was completed in approximately twelve months. Total Cost - $2,500,000. Located in Freehold, NJ, this twenty million dollar project consisted of three, two story buildings, and three three story buildings, totaling more than 180,000 square feet. Academy Electric’s design professionals worked closely with the architect of this project to insure the 3000 AMP, 3 phase service would minimize energy costs. Academy also worked with GPU Energy regarding the installation of the electrical service for this project. Multiple design meetings were required between our office, the Owner, General Contractor and the designers, due top the size of the project and the anticipated changes that were made during the course of the project. The installation of a back-up generator system to coincide with multiple life safety requirements, as well as various elevators throughout the six buildings were also several of the main concerns in the overall construction of this project. The lighting packages, both interior and the extensive exterior site lighting for all the common courtyards, required considerable efforts on behalf of our company, as well as our suppliers. Academy Electric prides itself on building a project of this size, by completing the project within the timelines required by both the Owner and the General Contractor. Project Cost - $1,400,000. This project included the renovation of an existing 10,000 square foot historic school building and the addition of a new 80,000 square foot apartment building. Academy designed the service distribution to meet the requirements of the local utility authority, which required that each unit in the residential addition be separately metered. Renovations to the existing school building included the installation of a 1,200 AMP service and complete rewiring of the building to accommodate a senior activity center and enclosed, inground pool, while maintaining the integrity and original aesthetics of this 80-year-old historic school building. The exterior lighting, which was also designed and installed by Academy, includes a large, lighted center courtyard and lighted walking trails. Project Cost - $600,000. 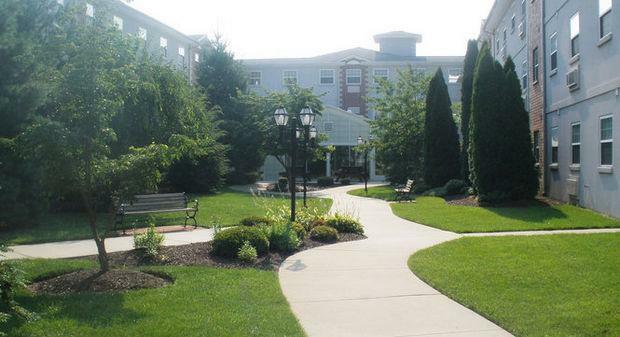 Located in Wall Township, New Jersey, this 70,000 sf assisted living facility consisted of eighty-four units of both assisted living and skilled nursing care. This project was completed for the Owner, Presbyterian Homes. Academy Electric installed a 4000 amp service, along with a 150 KW emergency generator. Extensive courtyard lighting was installed, along with an extensive nurses call system and custom light fixture package. Total Cost - $925,000. ​This project consisted of the renovation of a 49,500 sf historic warehouse facility, as well as a 95,800 sf addition. 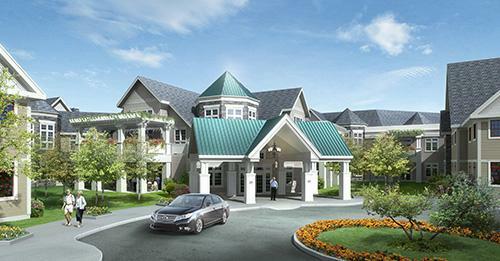 The completed assisted living facility houses approximately eighty apartments for the elderly. Project consisted of three stories plus lower level parking garage. An 800 amp service was included, along with emergency power system, heat tracing, carbon monoxide detection system and extensive telephone ad entry system. This is the third project Academy Electric has completed for the owner, HL Associates, Inc. Total Cost - $800,000. Academy Electric has completed eight facilities for Assisted Living Concepts, Inc. These 27,000 square foot facilities include a large entry with an illuminated coffered ceiling, sitting area and fireplace. 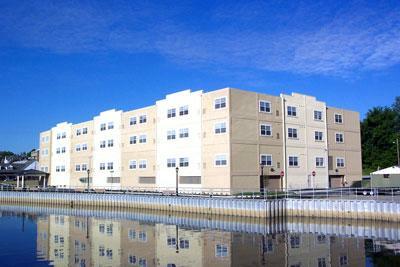 The thirty-nine unit suites are situated with a mix of efficiency and one-bedroom apartments. The facility has a commercial kitchen, public and private dining areas, beauty parlor, laundry facilities, library, activity rooms and staff offices. In addition, each facility includes a fully landscaped center courtyard with architectural lighting and a trellis covered patio. Project Cost - $250,000. 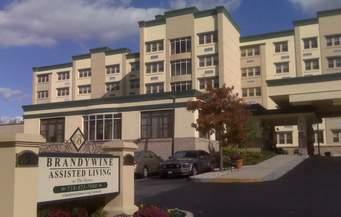 ​This project, located in East Windsor, NJ, consisted of a 15,000 sf addition to an existing assisted living facility. Project included a 1,950 sf dining room addition and an 11,700 sf special needs memory impairment addition. An 800 amp service was installed for the new addition, along with a 300 KVA high voltage transformer, and emergency call system. Modifications to the existing 500 KW substation were also completed. Total Cost - $230,000. The project consisted of a two story, 11,000 sf addition to an existing assisted living facility with an indoor pool area. Total Cost - $185,000.